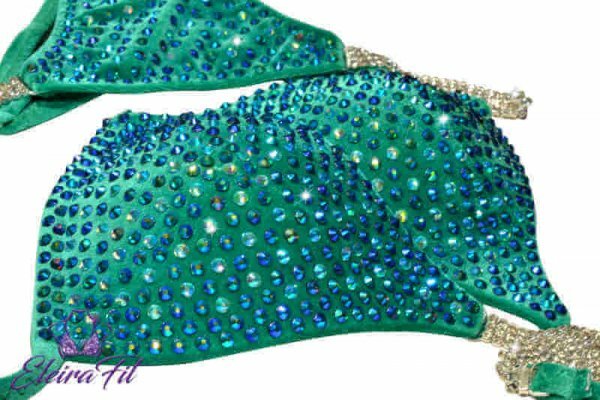 This dazzling green bikini competition suit is beautifully embellished with green and rainbow AB green rhinestone crystals, and sparkles with two sets of crystal connectors: top and bottom. 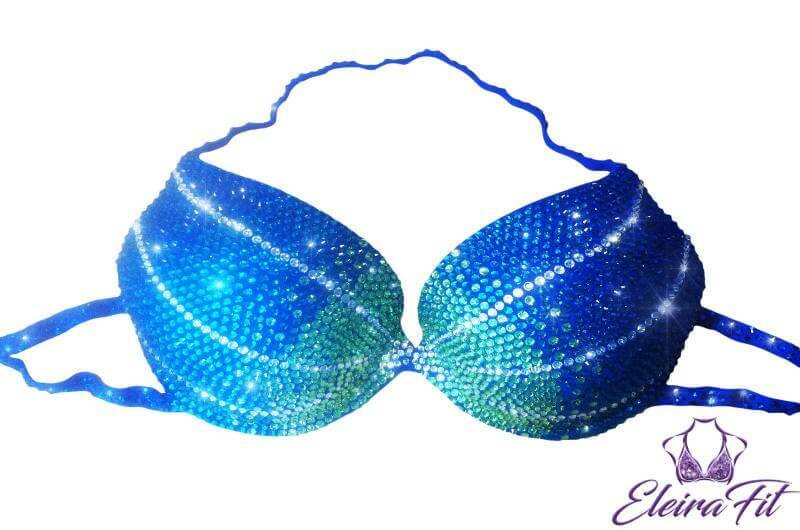 The bikini top is rhinestone studded, with push up triangle cups that enhance the bust by lifting and shaping the cleavage. 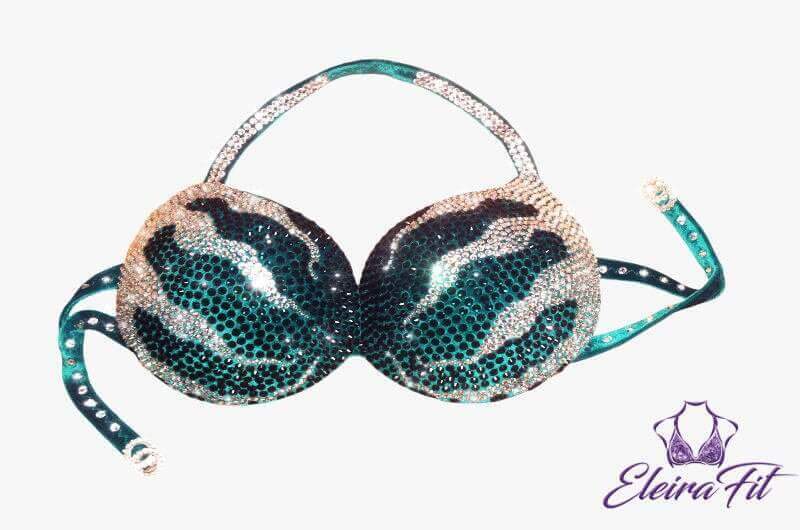 Eye-catching crystal row connectors (style 001) are on the straps, along with crystal rhinestones on the strap that adjoins the cups. One set of straps conveniently clasps at the back, while the other ties at the neck. 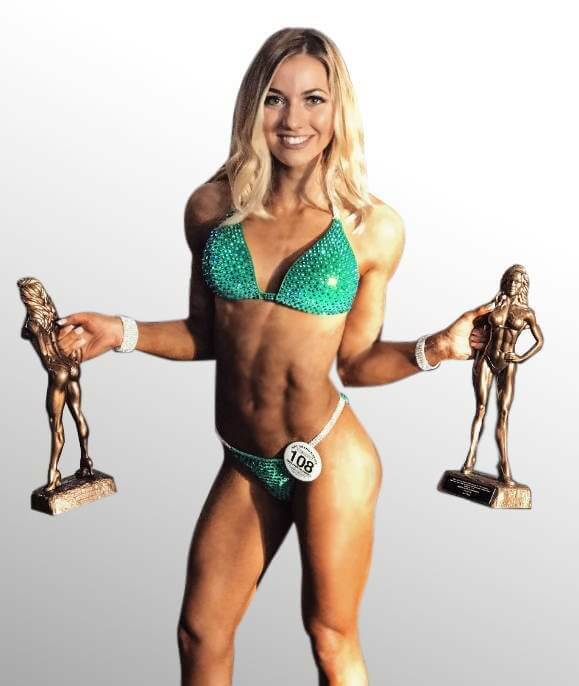 The bikini bottom has a straight line front fit, which is the best choice for NPC bikini competitors. The ‘cheeky’ style has a gluteus enhancing fit with more coverage that Brazilian style, but more open than the ‘moderate’ fit. 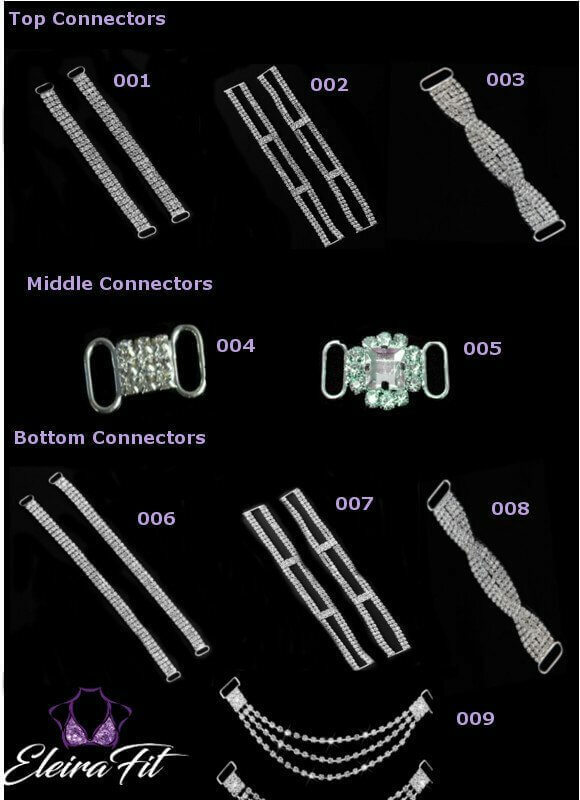 Triple row crystal connectors on the hip (style 004) add extra allure and brilliant bling while enhancing leg length. All EleiraFit suits are fully customizable for your body type and preferred style. Just got my suit today and I’m absolutely in love with it! It didn’t take even half the time I thought it was going to take to be made and come in and it looks even better on then I thought!! So excited and happy to rock the stage in this beautiful suit. Thanks again! !